Perfect for the chilly weather, these easy (and fast!) 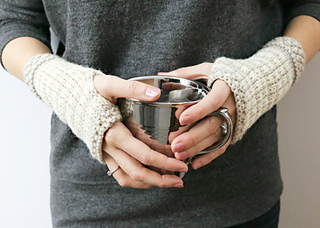 striped mitts are sure to become a staple winter accessory. 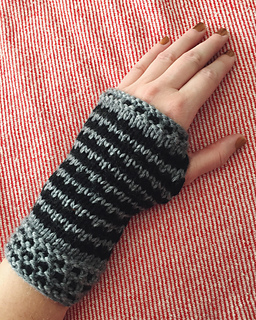 They are knit flat and seamed, and use small amounts of yarn. 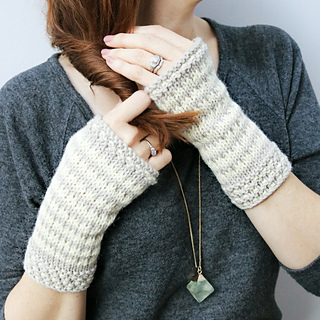 With the materials below, you’ll have enough yarn to make a pair for you and 4 of your closest friends! A perfect holiday gift. 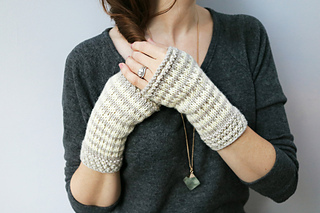 Have fun choosing different colors, or knit them in classic neutrals, like this warm white and soft grey. 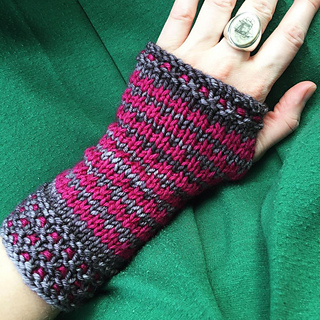 As written, pattern is suitable for wrist circumference of 6 - 7.5 inches. To change size, decrease stitch count or increase stitch count by 4 to accommodate different sizes. 18 stitches and 28 rows in a 4 inch square of stockinette. 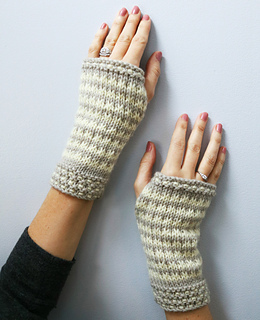 Take time to check gauge or your mitts might turn out too small or too big! Sl1 wyib: slip one stitch from the left needle to the right as if to purl. Make sure the yarn is behind the stitch (meaning, it is on the wrong side of the knitted fabric). Sl1 wyif: slip one stitch from the left needle to the right as if to purl. Make sure the yarn is in front of the stitch (meaning, that it’s facing you as you work on the wrong side of the knitted fabric).